The winter months can drag on a bit can't they? In winter it's easy to want to just hibernate until spring, slip into dark, dull clothing and just give up on your outfits all together. Believe me, I've done it! A few years ago I only wore shades of black and grey for about three months straight, and I wouldn't touch any bright colours at all. 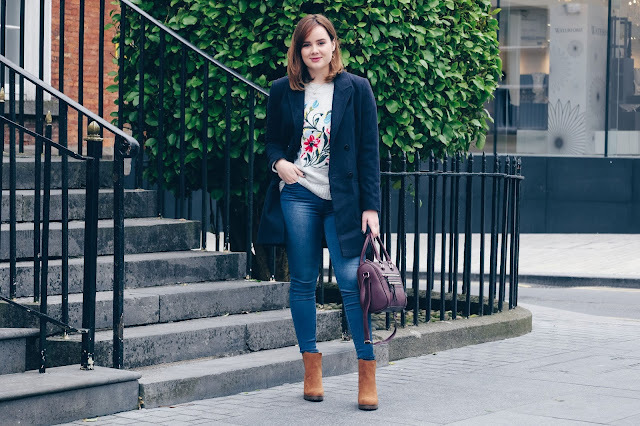 Today I've teamed up with my favourite shop, Penneys, to share some of my tips for keeping your winter wardrobe from looking dark, dull and boring! This entire outfit is from Penneys and cost under €110 so livening up your winter wardrobe doesn't have to break the bank either. It's easy to be drawn to black in the A/W season, but there are lots of colour options that are still dark and wintery, but not as dull and boring as black can be. For example this coat from Penneys which was €30 is a gorgeous navy colour and is just that bit more interesting than a black coat would be. This coat also comes in two other colours, a gorgeous oatmeal colour and a classic grey colour so they're great for incorporating lighter colours into your winter wardrobe without going too crazy. 2. Use jewellery to add something more to an outfit. 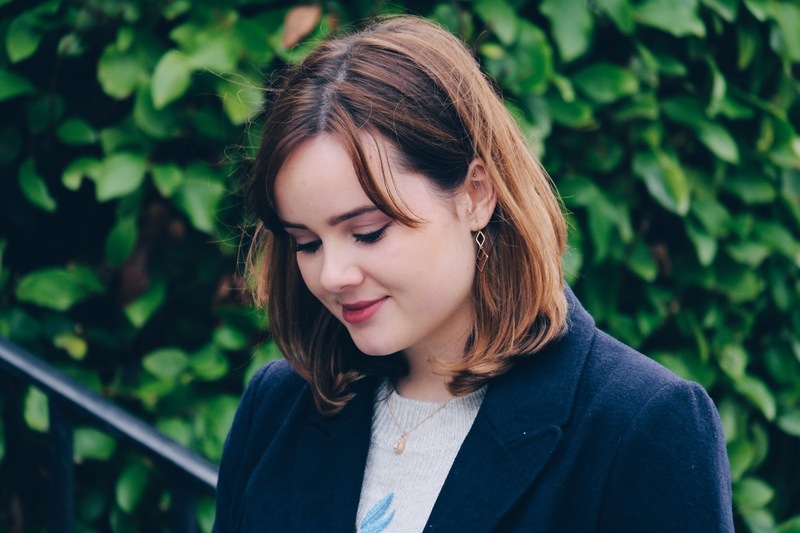 Jewellery is a great way too add to an outfit all year round but I find wearing jewellery is super important in winter especially. 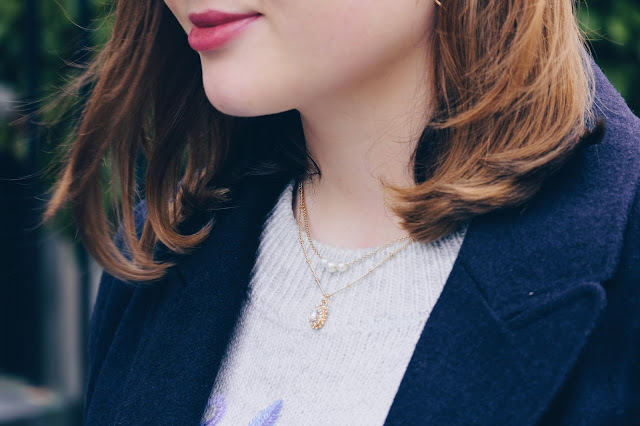 If you're wearing a nice, simple outfit like a cosy jumper, biker jacket and jeans, adding some necklaces like the ones above or a pair of statement earrings is a great way to make it a little more interesting without too much effort. Penneys is always a great place to pick up jewellery pieces and they're always so affordable. The pearl necklace cost just €2, the gorgeous gem necklace cost €3, and the earrings were €1.50. Cheap as chips! Another great way to keep your outfits from looking too dark and dull is wearing lighter coloured knits. I love wearing an all black outfit with a pink jumper, it's still nice and wintery but the pop of pink gives it a nice contrast. This can also be done with trousers and jeans too. 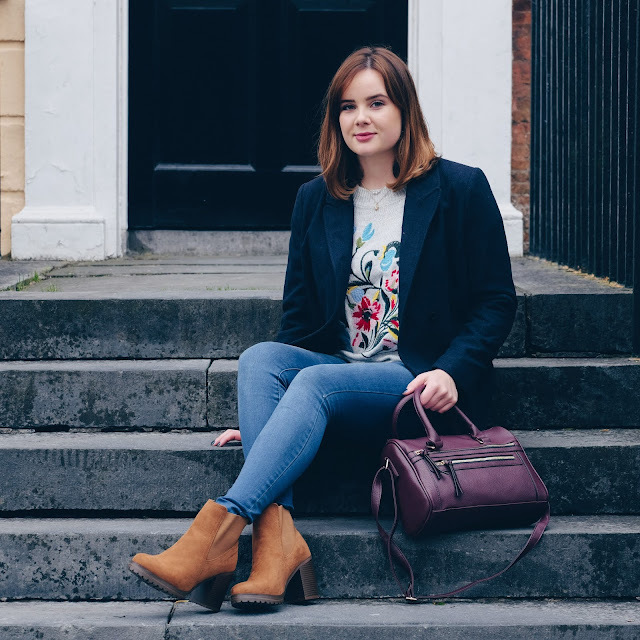 Team a dark outfit with a pair of statement coloured trousers (I'm loving the red trousers that are everywhere at the moment) or a pair of lighter wash jeans and taa-dah, no more dull outfits! 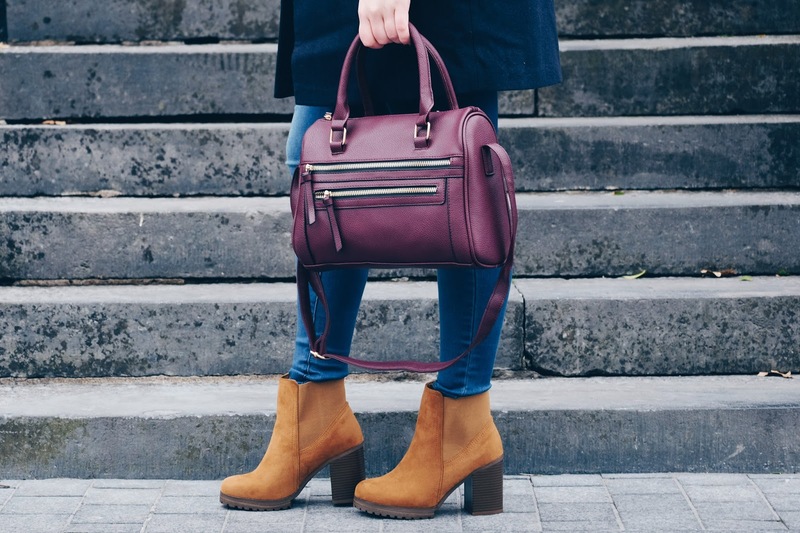 Accessories are a great way to add colour into an outfit especially because it's so easy to mix and match them. With this outfit I chose a pair of tan heeled Chelsea boots (which were a steal at just €19) and a gorgeous maroon handbag (€12) with zip detailing. The boots have to be one of my favourite parts of this outfit, instead of the normal flat boots, they have this fab heel on them and they're surprisingly comfy. 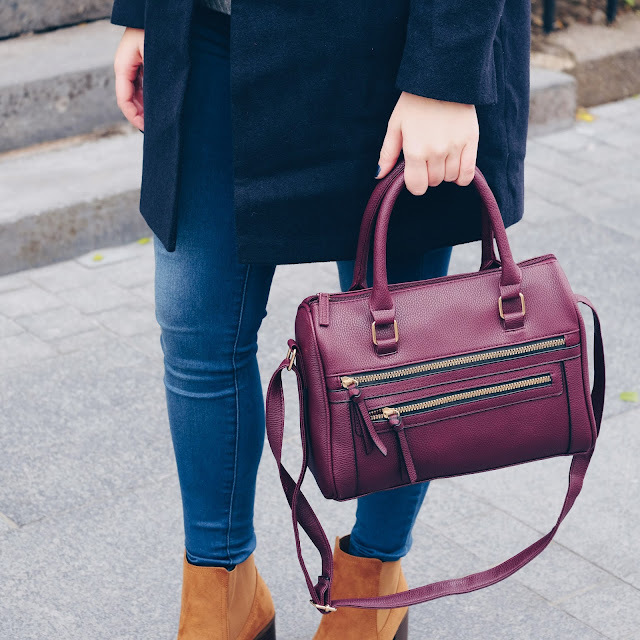 Tan is such a great colour for A/W because it goes so well with darker colours and I love that their tan colour contrasts really well with the blues of the coat and jeans. 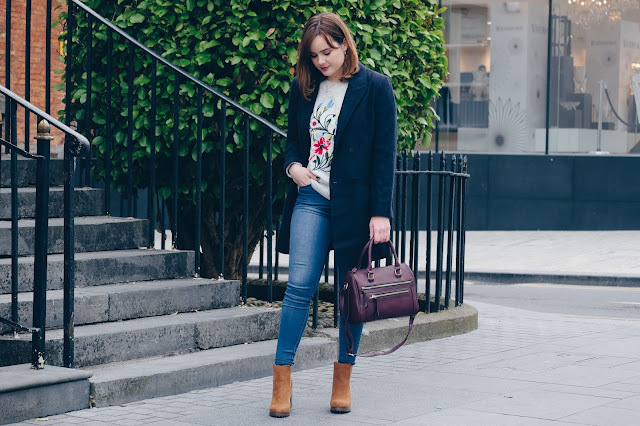 Florals aren't just for spring, and this year especially there are loads of gorgeous floral prints around for the A/W season. They're a great way of dressing up an outfit without having to step too far outside your style comfort zone, especially when if they're like this beautiful floral jumper. 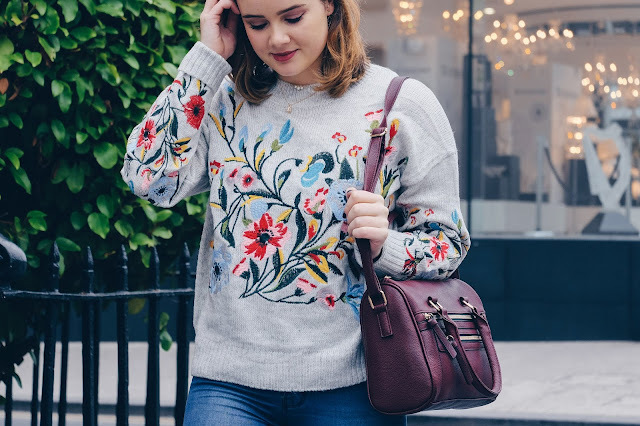 The floral embroidering on this jumper (which is €26) is so detailed and makes it a brilliant statement knit but yet it's still so comfy and cosy, what more could you want?! So there we have it, five ways to keep your winter wardrobe from looking dull and boring. Ever since that winter a few years ago where all I wore was black, I always make a conscious effort to push myself style-wise when it comes to my winter wardrobe. It's nice to play around with colours and prints even in winter and there are so many gorgeous pieces in store at the moment too. I hope this post helped you if you struggle with your winter wardrobe and if you've got any tips of your own I'd love to hear them! 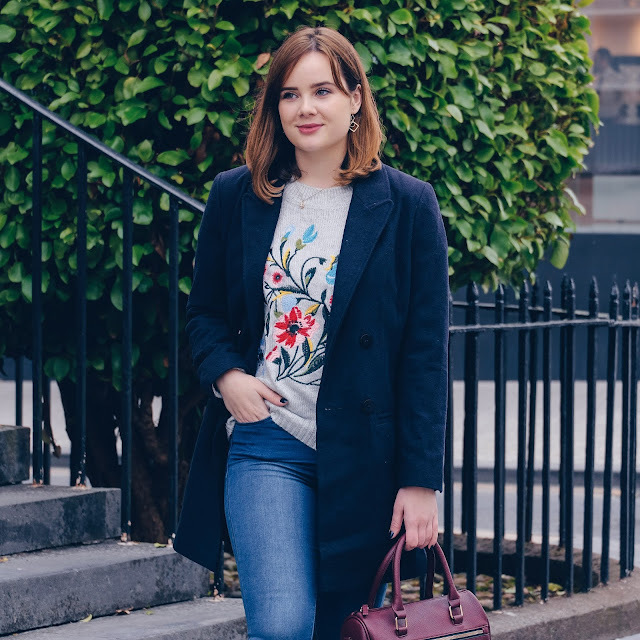 * This post is in collaboration with Primark which is where I buy pretty much 99% of my winter wardrobe every year. You can't beat good old Penneys!